It has been far too long since my last French Fridays with Dorie post. I slipped a disc in my back (because of the move). Spent way too long on a crazy cocktail of drugs to just get through each day! When I saw this week’s recipe I knew it was time to return to the group. And I knew that I would replace the blueberries in Dorie’s recipe with a jar of Morello Cherries. 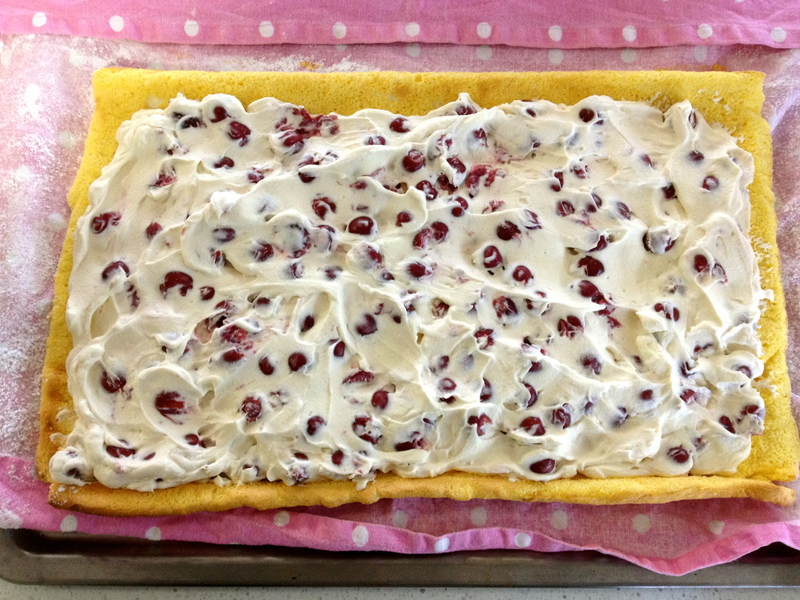 However my daughter and I crave Black Forest Cake, loaded with juicy, plump, sour cherries… pretty much… all the time! School holidays are pretty crazy times around here. I turned my back for a minute at the cinema and a movie poster became a prop! So amidst all the chaos it was pure bliss carve out a little time to bake. 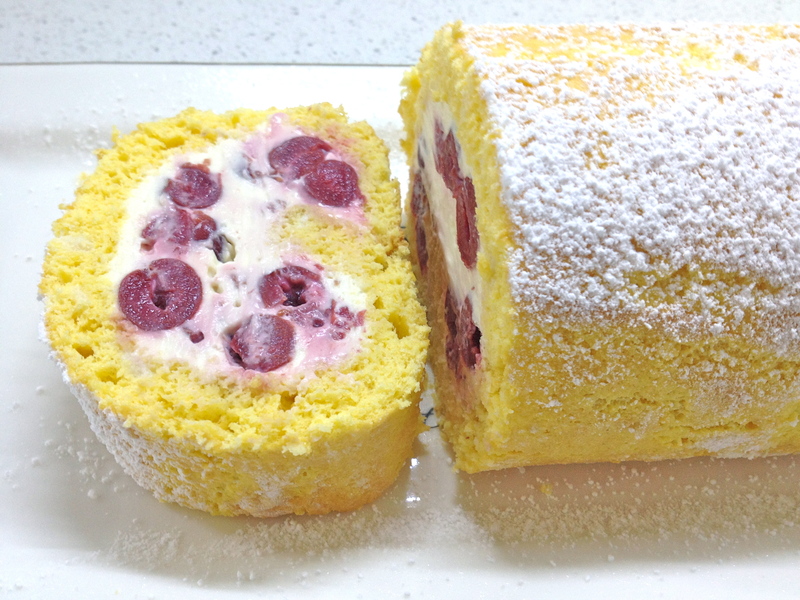 Dorie’s Roulade recipe was simple and delicious. We loved the cherry filling. And I think strawberries would have been amazing. I can’t wait to see what the rest of the French Fridays with Dorie group thought! Tags: baking, cakes, cooking, food, french fridays with dorie | Permalink. Beautiful – love the cherry filling idea. Hope you are well recovered by now & settled into the new house. That is so pretty, I’ve always wanted to try a roulade, but I’ve been daunted by the cake rolling…maybe I’ll try it soon. Congrats on the new move! Your roulade looks delicious. Perfect way to celebrate the new digs! Great idea, great pictures, welcome back!